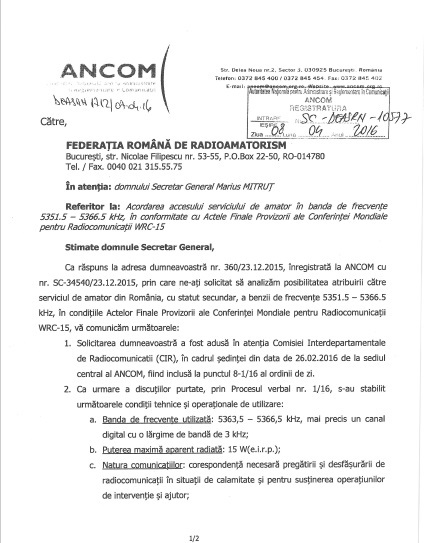 Following the conclusions of the World Radiocommunications Conference 2015 regarding the 5MHz band, supported by two local Romanian amateur organisations, the Romanian authority for communications (ANCOM) is granting temporary access for radio amateurs to a channel in the 5MHz band (60 meters). The spectrum to be granted is 3kHz wide (from 5363.5kHz to 5366.5kHz) and will be made available on a secondary access basis, with no privileges. The access is temporary – it will come under review after one year, with the possibility to add a second channel. 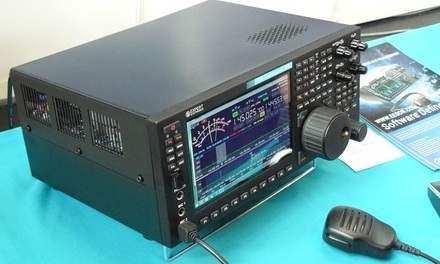 The main purpose is so that Romanian amateurs study propagation in the 5MHz band and find benefits in using it for EmComm (emergency communications). For the yearly review, the two amateur organisations that requested 5MHz access (the “Romanian Radioclub” Association and the Romanian Radioamateurs Federation) have to prepare reports with conclusions of the studies. You can find below the official notifications from ANCOM adressed to the two amateur radio organisations (the content is identical). 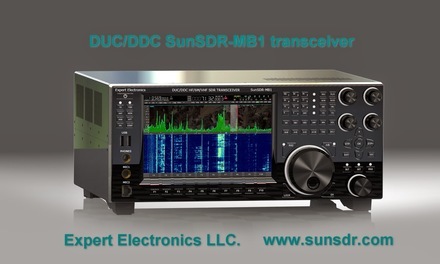 I have seen notice of DJ9IE skimmer from YO5TP at 0753 UT on 5365 kHz and looking forward to cathing my namesake ASAP!